PGCIL Recruitment 2018 – 25 Executive Trainees (HR) Posts :- Power Grid Corporation of India Limited (PGCIL) has released latest notification for filling up 25 posts of Executive Trainees (HR) through UGC NET July 2018. Desirous & eligible candidates can apply online from 01/07/2018 to 31/07/2018. Age Limit : 28 years as on 31/07/2018. Educational Qualification : Two years full time Post Graduate Degree/ Diploma/ MBA in HR/ Personnel Management & Industrial Relations/ Social Work (with specialization in Personnel Management & Industrial Relations)/ HRM and Labour Relations/ Labour and Social Welfare from recognized University/ Institute with not less than 60% marks. Starting Date of Online Application :01/07/2018. Last Date of Online Application : 31/07/2018. Application Procedure: Eligible candidates can apply online through the website https://www.powergridindia.com from 01/07/2018 to 31/07/2018. 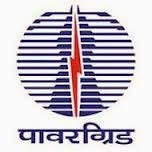 Power Grid Corporation of India Limited (PGCIL) has released latest notification for filling up 44 posts of Diploma Trainee (Electrical) & Jr Officer (HR) Trainee. Desirous & eligible candidates can apply online from 21/02/2018 to 13/03/2018. Age Limit : 27 years as on 13/03/2018. 1. Diploma Trainee (Electrical) : Diploma in Electrical Engineering from recognized Technical Board/Institute. 2. Jr Officer (HR) Trainee : Two years (Full time course) PG Diploma in Personnel Management/MSW (with Personnel Management as main subject) or equivalent from recognized Institute. Starting Date of Online Application :21/02/2018. Last Date of Online Application : 13/03/2018. Application Procedure: Eligible candidates can apply online through the website https://www.powergridindia.com from 21/02/2018 to 13/03/2018. Subscribe our free job alert mail for PGCIL Recruitment 2018.